As one of the leading names in the area of supplying the electrical parts, which emerges as a preferred choice in the market. We are providing RTD Instrumentation Cable with enhance service life and well-tested design enable this product to grow from strength to strength. Our cables are checked accurately from all the parameters before delivering the cables to our clients with an excellent packaging. The unmatched quality and inexplicable performance of the RTD Extension Cables has played a vital role in the augmentation of the demand. These cables are precisely designed by the experts using the finest quality raw materials and sophisticated technology. RTD Cables carry temperature readings from remote or inaccessible areas to the control room. 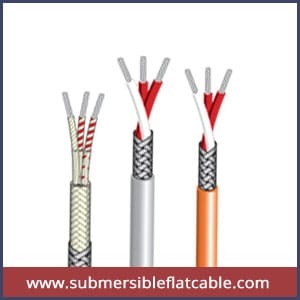 Moreover cables are available in several specification and reasonable price, and the demands of the RTD Instrumentation Cables are quite high. Customers are also eased with the accessibility of the RTD Cables in diverse dimensions to meet the specific requisites. Excellent flexibility with good temperature resistant.